Stunning wildlife pictures are on display in Wolverhampton as the city's art gallery hosts the Natural History Museum's touring Wildlife Photographer of the Year exhibition for the first time. 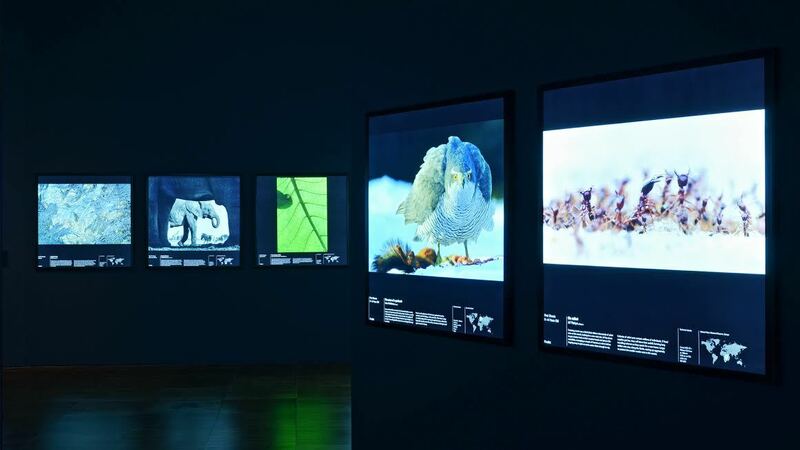 One hundred impressive images can be seen displayed in an ultra-modern lightbox format until September 18. The blockbuster show won critical acclaim when it first opened in London attracting thousands of visitors. Founded in 1964, Wildlife Photographer of the Year is the most prestigious photography event of its kind, providing a global platform that showcases the natural world's most astonishing and challenging sights. This year's competition received more than 40,000 submissions from amateur and professional photographers in more than 95 countries, all of whom were competing for the title of Wildlife Photographer of the Year. Every year, the best images submitted are selected to form the Wildlife Photographer of the Year exhibition, which tours venues across the world and is seen by millions of visitors, helping to ensure that biodiversity and sustainability remain at the forefront of public awareness. The exhibition is open Monday- Saturday, 10.30am- 4.30pm, until September 18. Tickets cost £4 adults and £2 children and concessions. A family ticket of two adults and two children is £10. Mark Blackstock, Wolverhampton's head of Visitor Economy, said: "This is a blockbuster show which is on an international tour that will be seen by millions of people across six continents. We are delighted to welcome it to Wolverhampton for the first time. I have no doubt it will attract many visitors and I would urge people to make sure they book tickets so as not to miss out." Fantastic photos. I'll have to get over there to see this exhibition.